The website runs on WordPress and uses a bespoke theme built specially for Teesside Kitchens by McGregor Media. It is fully responsive and displays well on mobile, tablet and desktop. The mobile display presents two click-to-call buttons in the page header for the visitor’s ease of use. The site uses full page images to attract the visitor’s attention and has a front page Call To Action form to ensure potential customers can get in touch easily. 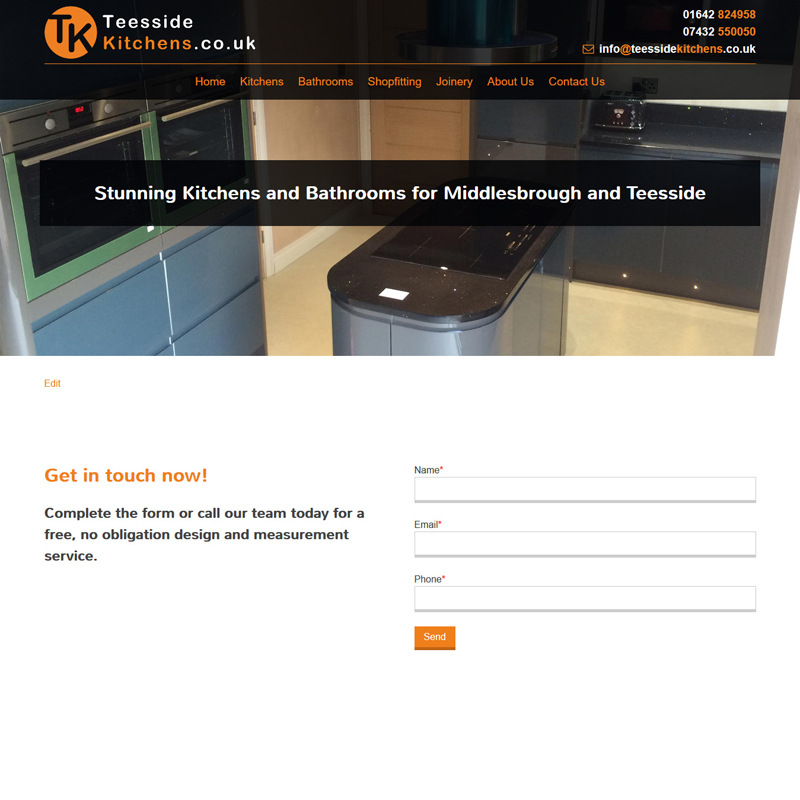 You can see the brand new Teesside Kitchens website at teessidekitchens.co.uk.